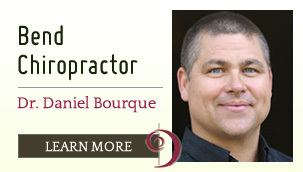 My name is Dr. Daniel Bourque and I want to be your Bend Chiropractor. My approach to patient care is to only accept those patients for care that I sincerely believe I can help, and to help my patients understand their condition, how they got that way, and (most importantly) how to keep it from coming back. the questions I need to know before we proceed to the next step. long it will take, and what your cost will be — no surprises. So take the first step and give me a call at (541) 389-1191.